Transform your bedroom into a luxurious retreat. 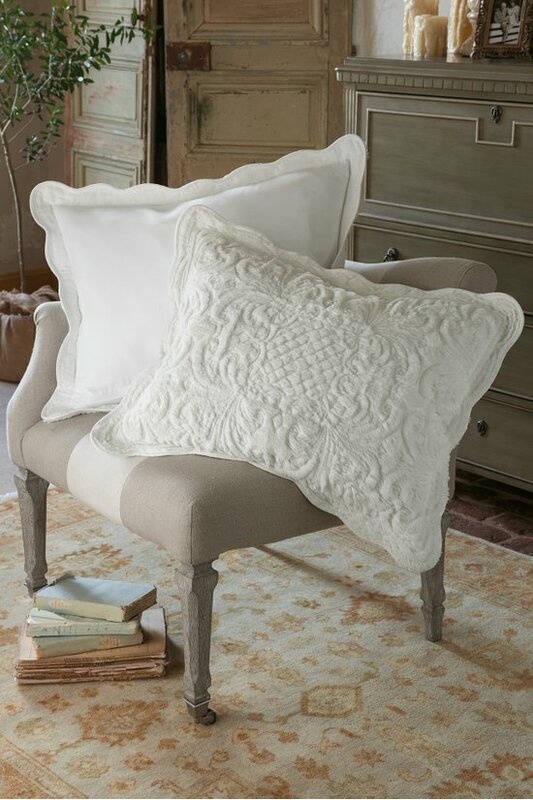 We've re-cast traditional flourishes, florals, scrolls and lattice motifs in irresistibly soft and fluffy faux fur. 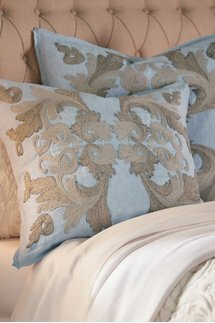 A delight to the senses, finished with gently scalloped edges and backed in silky cotton sateen. You may never want to get out of bed... and who could blame you? Sham has a back zipper closure. Polyester faux fur, cotton/polyester/rayon fill. COTTON/42% POLYESTER/2% RAYON. DRY CLEAN ONLY.